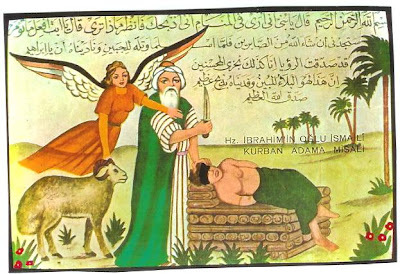 I have written before about the idea of substitutionary sacrifice and ransom in the Qur'an, and the photo postcard above. (see link later for more details) Now there is a new issue of the distortion of the parable of the unmerciful servant in Matthew 18:23-35. The issue of substitionary sacrifice bears repeating, but this time, a Muslim has royally distorted the parable of the unmerciful servant in Matthew 18:23-35, ignoring the context of verses 15-22, and either using a faulty translation that leaves out a key phrase in verse 23 ("therefore", or "for this reason") or maybe possibly leaving out the key words altogether. Paul Bilal Williams, a British convert to Islam, writes many articles against the Biblical teaching of substitutionary atonement. It would have been nice to have the page number from C. S. Lewis’ book. 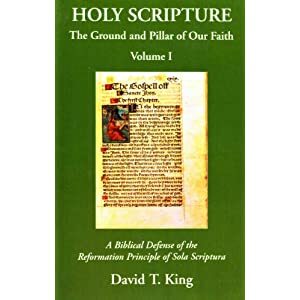 He goes on to affirm the teaching of substitutionary sacrifice. Samuel Green has a good article that refutes your polemic against the Biblical teaching. Also, you ignore the fact that the Qur’an does have a “seed” of the Biblical doctrine of substitutionary atonement in Surah 37:107 – “We have ransomed him with a mighty sacrifice”. I have written about this before linked below. Allah provided a substitute and ransom. And the Arabic word "ransom" in Surah 37:107, is the same root in the Arabic and Farsi translations of the Injeel (NT) in Mark 10:45 and Matthew 20:28. "So, Why Did Allah substitute an innocent ram (or lamb or sheep) to be killed in the place of Ibrahim's son? Now I know Islamic theology rejects that and teaches against substitutionary atonement and sacrifice and ransom, but a “seed” of it survived in the text, because the Qur’an gets its basic material and storyline from the Torah and the Injeel, although the Qur’an adds other things and myths and twists the different stories. The concept of substitutionary atonement was there and is all through the Bible, taught from Adam and Eve and God providing skins to cover their shame and nakedness to Abraham’s sacrifice in Genesis 22, to the Passover lamb in Exodus 12, to the tabernacle sacrifices in Lev. 1-7 and 16-17, to the temple (I and 2 Kings; Daniel 9:24-27, other prophets), to the prophesy of the Messiah to come, the suffering servant. (Isaiah 53). Mark 10:45 / Matthew 20:28 show the fulfillment of the suffering servant prophesies and the substitution and the ransom aspect. Also, you have taken the parable in Matthew 18:23-35 out of context, which I have pointed out to you before, but you seem to just ignore basic things like context. I wonder, what translation are you using? These 2 Greek words are very important for interpreting the parable correctly, because the “therefore” or “for this reason” connects the parable to what comes before and explains why Jesus told the parable. He does not have to mention substitutionary sacrifice within the parable, because that is understood, because telling the parable was prompted by Peter’s question of “how many times do I forgive my brother?” – and that was prompted by Jesus teaching about the church and church discipline when someone refuses to to repent of his sin against another brother in the church. (Matthew 18:15-22) The fact that Jesus is teaching something about the local church, and that all Christians understood that in the church, there is teaching on Jesus’ substitutionary sacrifice for sin as part of the gospel that one must believe in, in order to be a member of a church – just as the apostle Paul wrote in Ephesians 4:31-32 – “Forgive one another as God in Christ forgave you” . In the church, God's word teaches us that forgiveness looks back to the cross and what God did for us in Christ as the cross. Jesus was explaining that principle for the future churches in Matthew 18:15-35. So, you have clearly distorted the parable completely, by using a faulty translation and by ignoring the context of verses 15-22, which tell us the reason for why Jesus taught that parable. Everything in the Bible before the cross is leading up to it; and everything after it points back to it as the only way to be forgiven – because God is holy and has just anger against your sin. God forgives and has mercy, because His holiness and wrath against sin was satisfied at the cross, the “Qorbani – abadi” (eternal sacrifice; قربانی ابدی ) .